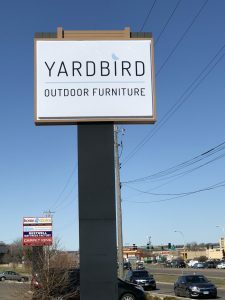 At Kansas City Sign Company, we know the importance of investing in visibility, and this is why we specialize in delivering high-quality pylon signs tailored to suit your business identity and your budget. We know pylon signs aren’t just for attraction purposes. 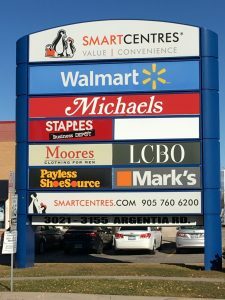 They must also serve as directional signs so that potential customers will know where to go in order to check your business out. 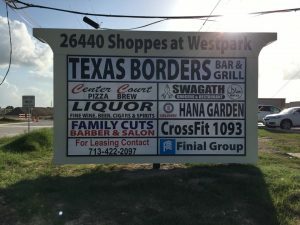 They are often used as tenant signs, indicating all of the businesses located within a shopping center or business park. 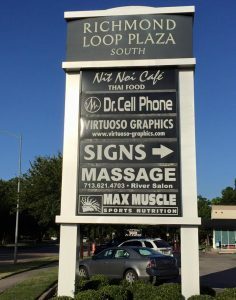 Kansas City Sign Company delivers highly effective pole signs that fulfill their purposes: they instantly and clearly introduce your brand to passersby and motorists, then leading them to your store. Kansas City Sign Company is out to take your brand visibility to a whole new level. We can help you get 24/7 exposure with illuminated road sign boxes. We can customize steel cabinets to your preferred shape and size. You can also choose either interchangeable sign faces or the more permanent channel letters. 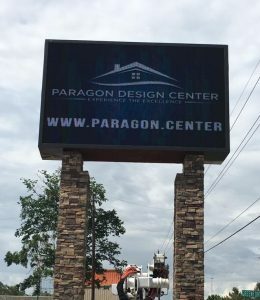 Because illuminated pylon signs are highly customizable, Kansas City Sign Company can create one that meets your exact needs. Kansas City Sign Company creates non-illuminated road signs that have steel frames with aluminum sides, and a custom-designed face mounted on one or multiple steel poles. Kansas City Sign Company delivers full color, digital prints with designs tailored to your brand. With high-quality pylon signs made by Kansas City Sign Company, you can expect your signs to eventually become a familiar landmark in your area. A pylon sign’s durability is one thing that shouldn’t be compromised. They are left out in the elements the entire time so they need to be able to stand against wind and harsh weather. Kansas City Sign Company understands all this, which is why our goal is to deliver a pylon sign that’s effective and stays effective for years! Kansas City Sign Company has been building signs for many years, and our experience is one thing that we are very proud of. We know the ins and outs of the pylon sign business so we know exactly how we can speed things up for you. With our team of artists, engineers, and signage experts, Kansas City Sign Company can guide you and assist during the entire sing-making process. From conceptualization, to design, to production, and all the way to installation. We also assist you with compliance and legal signage requirements. Regardless of which industry you’re in, Kansas City Sign Company is the perfect pylon sign provider for you. We’ve catered to the business needs of gas stations, hotels, restaurants, retail stores, malls, and many others. We are excited to work with you. Call Kansas City Sign Company today at (816) 656-3114 for your Free Consultation with a Pylon Signs Expert! We enjoy working with KC Sign Company.